This old house sits in the middle of a field right outside of Otter Creek Tama County Park in Tama County Iowa between Toledo, Iowa and Clutier, Iowa. 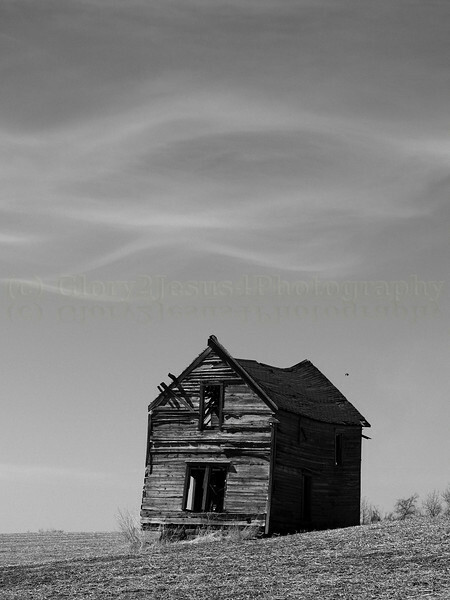 What I found so intriguing about this house is that it sits right in the middle of this field. The farmer that farms this field has to take the time to plant and harvest around the house every year. Where I grew up I saw houses much nicer than this bulldozed in to make more room for planting in a field.